I generally am not a fan of the "thinking about buying X, looking for opinions before taking the plunge" threads. Mostly because everyone's pallet differs. However, I am suddenly finding myself in the same spot. Pot meet kettle. My local has both the Willet 5 year and 6 year bourbons in stock. I believe these are both Willet distilled, they are recent releases, and I am not sure on the proof. Should have asked about that. The 5 year is $80 and the 6 is $90 which is quite a bit IMO for bourbon of this age. Yes, I know that we should not be a slave to age statements, but I do think that the mouthfeel improves and rough edges smooth out with older bourbons. Has anyone tried either and what are your thoughts/impressions of them? Will be making my decision by tomorrow. I have a LRP PS 5year with a wacky 51% corn/49% rye mash bill (65% ABV) which is a fantastic bottle— but probably not an apples to apples comparison to the bourbons you describe. Can you get more info regarding the ABV and mashbills? Has anyone tried either and what are your thoughts/impressions of them? Will be making my decision by tomorrow. I tried both a gift shop release of 5 year bourbon and the 80th birthday or anniversary? bourbon (which I think was also about 5 years). I frankly found both to be just completely unenjoyable for me. I would try to get a taste of them first, but that's just my opinion. Do you enjoy their house distilled "Old Bardstown"?? ?, because that might be something to consider before making a purchase. Now the rye, that is pretty darn fantastic, especially the 4 and 5 year. I wouldn't pass up a store pick of the rye. Do you enjoy their house distilled "Old Bardstown", because that might be something to consider before making a purchase. Well, there you go. Sounds like we might share palate pages. I’m with you their rye too, although I’ve only had the 4’s so far. No 5’s have made it to MN yet. You are both correct. I hated it. If the Willett-distilled Old Bardstown is any indication...run away!! 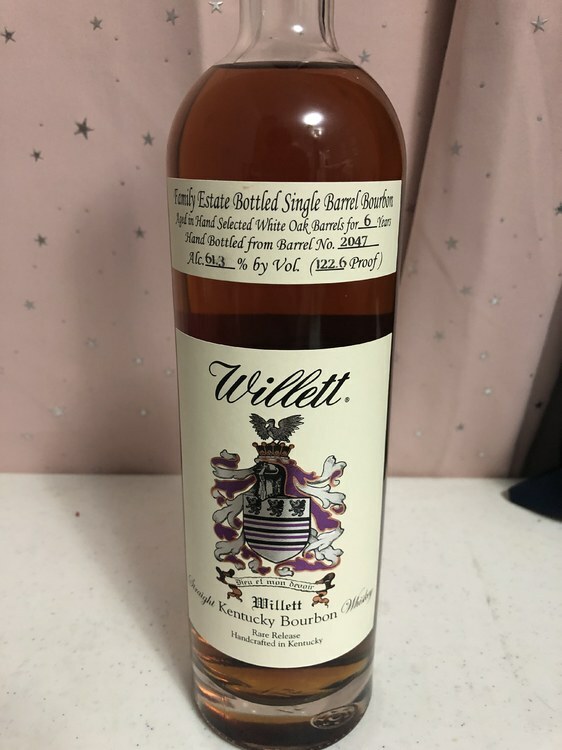 To answer your question I'll share my thoughts from having done 3 Willett picks (of their own distillate) as well has having purchased the 80th and a bottle of 4yr WFE from the gift shop from back when it first came out. Willett distilled bourbon has a distinct cinnamon flavor to it. Like Red Hots. You either love it or hate it. I don't know what causes this but I'm guessing it's from fermentation. I bet Nancy @WhiskeyBlender can tell us what causes this. The younger the bourbon, the stronger the cinnamon. Also, the lower the rye, the more cinnamon. I've picked two 5yr wheaters and both have a strong cinnamon flavor. 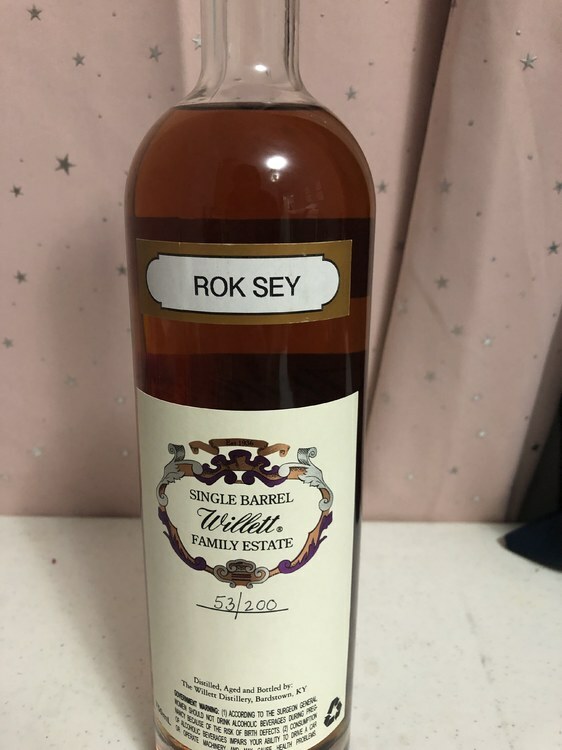 I picked a 5yr high rye and it was much less pronounced. I've had 4 and 5 year ryes and the cinnamon isn't present in those. The ryes really shine. For your decision, at face value, I'd go for the 6. If you can, find out the mashbills. If it's high rye you have a better chance of being satisfied with the purchase. 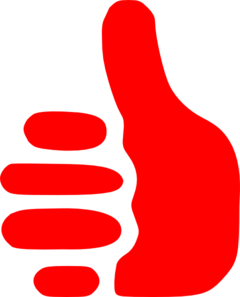 Thanks for the posts/comments. The last Willett I had was the tree year rye and cinnamon red hot mess is a perfect description. Ended up snagging the 6 year and my decision was made easier since I was offered my choice of one or the other. Will post a pic in the buy thread later today. Was that part of the XCF series? @flahute and @Bob_Loblaw, I just now saw this question, so I'll give a pop at it. Ordinarily, the "cinnamon" type taste comes from a few sources within the oak itself, such as from eugenol. However, this aromas derived from eugenol tend to be a little more clove-like. It can also possibly come from the trans-isomer of oak lactones, which will give it a spicy, clove, incense type of aroma. Then, of course, there's cinnamaldehyde, which comes from the charring of casks. However, a strong cinnamon "Red Hots" note can also come from things like improper pitching rates of yeast, or from fermentation temperatures that are too hot for the natural tolerance levels of the yeast. It could also be the result of an infection acquired during fermentation, which would make sense if the pitching rates are off, the yeast is unhealthy, and/or fermentation temperatures are too hot. The cinnamon "Red Hots" note in the Willett distilled bourbon that you mention is very interesting, though, as it seems to be related to a lower percentage of rye or to the use of wheat in the mash bill. I'm not exactly sure what the connection would be here, but I do know from experience that rye and wheat are very opposite when you work with them. Wheat is much easier to ferment and distill, but it takes a long time for it to "show" well during maturation, and is generally more difficult to work with during the aging phase of production. On the other hand, rye is susceptible to more issues during the front side of production (i.e., the formation of "rye balls", foaming, etc. ), but it is so much easier to work with during the maturation side of production. It certainly "shows" better at a younger age than a wheated bourbon does. That said, I'm not sure how or why the wheat would make it have that red hot taste though. Does anyone know if they are using sweet mash to make their bourbon? This could also be a cause of the red hot cinnamon taste, since sweet mashing can make the ferment more prone to bacterial contamination. At any rate, I hope this sheds a little light on the subject. Quite frankly, I haven't gone back to the Willett distillate since I tasted what they first started distilling again. I found the distillate quite faulty back then, but I hope things have changed since and perhaps I ought to give it another try. Ordinarily, the "cinnamon" type taste comes from a few sources within the oak itself, such as from eugenol. However, this aromas derived from eugenol tend to be a little more clove-like. It can also possibly come from the trans-isomer of oak lactones, which will give it a spicy, clove, incense type of aroma. Then, of course, there's cinnamaldehyde, which comes from the charring of casks. Hey Nancy, Ya' know I get goosebumps up and down my arms when you talk like that! Yes, I am a nerd and can recite pi out to about 9 or 10 places (for whatever that's worth!). But you lend a new meaning to straight meaningful talk. Yes, its sure fun to nerd out on this stuff. As my dog Brandy would say, "Woof woof!" Brandy and I are about to head out to the garden to pick some fresh mint for tonight's mint julep. Its one of those nights when I don't want to "think when I drink." I just want something that tastes good without the intellectualization. This is fantastic information that I am going to have to read 2-3 times to get a better understanding. thanks Nancy! Here is is a picture of the bottle in question. Anyone know what “Rok Sey” means? Should be popping this one as soon as I have several low bottles on my shelf atm. It's just the barrel name chosen by the picker. Ask the store what it means. Here is is a picture of the bottle in question. Anyone know what “Rok Sey” means? Definitely interested to hear what you think of that bottle when you open it. I am glad to see these getting distributed outside of KY. They (my store) had no idea. Believe they only got 6 bottles of each. Sounds like a distributor pick that got parceled out to various stores. The thing to remember about this new Willett distillate is that we are tasting from the very first distillation runs. It takes a while for a new distillery to dial things in. They seem to have hit on the rye pretty quickly. As Nancy noted above, rye and high rye bourbons show better at a younger age. We don't know what mashbill you have but I do know that the majority of Willett's production is wheat recipe. Willett knows there were issues with the early barrels and I'm sure they are adjusting. This is an interesting thread. Apparently, some of these have shown up at one of our local bottle shops. Unsure of pricing. Perhaps a stop after work is in order. You know, more research??? Wasn't there someone who used to post on here that went by "rye balls". I think he was from Arizona. But seriously fantastic info. I am sold on their rye after it reaches 4 years. Will be a shame if their bourbon ends up being less than stellar overall. Valid point. I admit I am not squarely in Willetts corner based on their pricing thus far. I sent an email to Willett that is off the main website asking for more information about the barrel/mash of my bottle. Will see if they respond. No doubt the pricing is crazy. They know the bottles will immediately be flipped so they price to take some of that profit for themselves. And they still sell out. "I apologize for the delayed response. There’s not to much information I can provide regarding this specific batch. 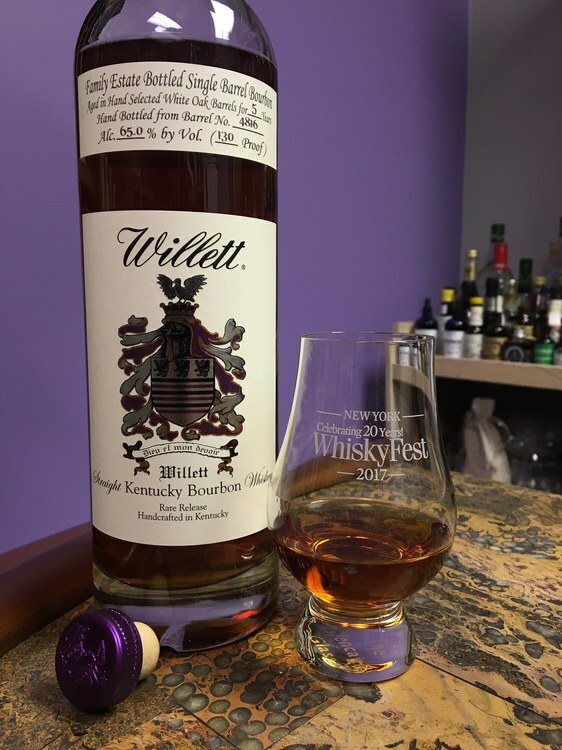 However, anytime there is a “Willett Family Estate” bottle with a specific label with a name on the back, that means that it was part of a barrel selection program. That intells that a retail store, bar, or restaurant selected that specific barrel and the name and we bottled and labeled it for them, therefore they could then do with it what they choose. There is not a way for me to know when and where this was distributed. You may want to contact the distributor for the state that you purchased the bottle in since legally we must sell to them first. 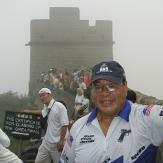 Hope this information helps." Rok Sey is named after a Roller Rink in Seymour Indiana. The mash bill is 79/7/14. Is the second number (7%) usually rye or barley or no way to know? Either way I have a little vacation this weekend starting tonight and am debating between a store pick Blanton's or popping this guy.